When people gain a certain amount of wealth, they tend to start collecting things. Some people collect sports memorabilia. Some people collect art. Some people collect knick-knacks. Some people collect cars. Those wealthy people who collect cars, go all out. They are constantly seeking the fastest vehicle, the sleekest vehicle, the vehicle with the most enhanced motor, etc. James Hetfield is one such collector. 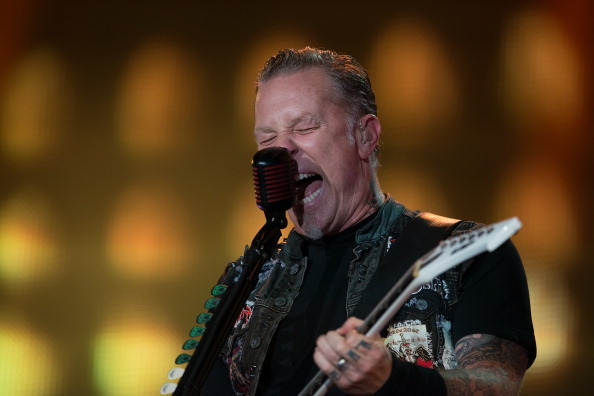 The rhythm guitarist, lead singer, and co-founder of the very successful band, Metallica, James Hetfield, has had his share of ups and downs over the years. From battles with drug and alcohol abuse, to severe injuries onstage, including second and third degree burns from a pyro stunt that went awry during a concert, to struggling with the loss of his voice at one point in the 90s, he's pretty much seen it all. He is also an avid skateboarder and has broken his arm so many times, that he had to sign a promise not to skateboard before tours. He has managed to remain clean and sober since 2001, and Metallica continues to enjoy steady success. The band has been touring and recording since the early 80s, and their nine very successful studio albums have made it possible for Mr. Hetfield and the other band members to enjoy a certain kind of lifestyle. Which brings us back to Mr. Hetfield's cars. The most prized possession in his collection is a pristine 1936 Auburn Boat Tail Speedster 852. The Auburn Speedster went into production 1925, and the original design, which included a 4.8 liter side-valve 68 bhp Lycoming engine, remained intact for the next five years. In 1929, however, the company redesigned the engine, and the first Auburn Speedster, the Speedster 115, was born. The Speedster 115, which became the Speedster 125, just a year later, featured a 125 bhp Lycoming engine. The car had a top speed of 100 miles per hour and had open two-seater styling with a boat-tail and a vee screen. A year later, the 851 was introduced, and featured a Columbia dual-ratio axle combined with a three-speed synchromesh gearbox, creating six-speed transmission. The Speedster 852 launched in 1936. There was actually nothing different about it, except for the number on the front. A year later, production on Auburn vehicles ended. James Hetfield's Auburn Speedster is gorgeous, and has been restored to perfect condition, along with some interesting personal touches designed by the musician. It's a true car collector's car, and a clear example of just how much fun being super wealthy must be.